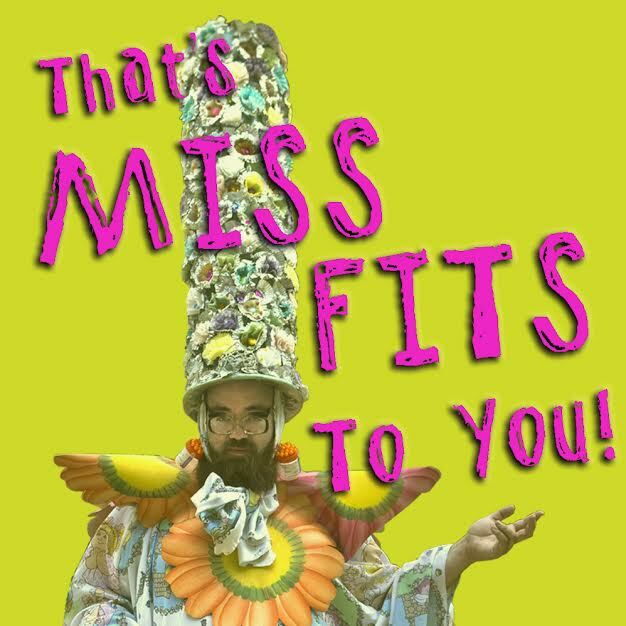 That's MISS FITS, to YOU! - That's MISS FITS, to YOU! That's MISS FITS, to YOU! - a queer mystery-musical - tells a magical tale of trans-poly-gender awareness - tracing the story of MISS FITS, a spirit guide, who has mysteriously disappeared on the eve of the annual holiday extravaganza. Retracing her life through the Stonewall Riots to Rosa Park's Bus Boycott, the investigation into MISS FITS' life reveals the liberation spirit alive in each of us. The musical extravaganza taps all the gender-bending arts from lip-sync homage t0 live drag extravaganza! Of deeper poignance, In the 11th hour ballad - Today Is For Heroes - MISS FITS appears to Rosa Parks urging her to "plant herself down" on the bus in Montgomery Alabama, 1955. And for the first Act curtain, Judy Garland leads the Stonewall riots singing - I Am Your Angel Baby - on the night of her funeral in 1969 Greenwich Village. Numbers like Drag Race sends the tour-de-force cast into fabulous flurry. And dual-identity rages in Secret Keeping. The twisting tale will leave you singing with liberation spirit! As Radical Faeries rattle your fashion! 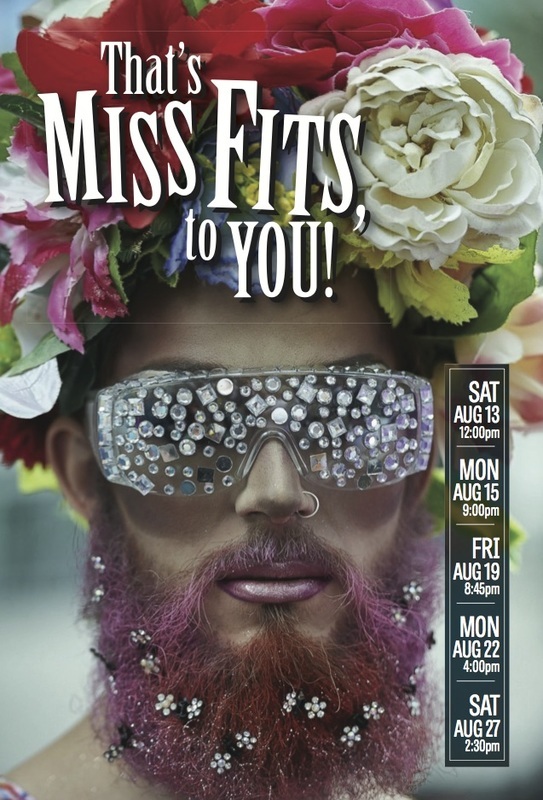 Get ready America, as MISS FITS arrives on the stage! .• Director: Jonathan Warman. "The director, Jonathan Warman, has encouraged a flamboyant presentational style that emphasizes coherence over flair." • Composer, Writer. Todd Tif Fernandez, pictured below. Get a sneak-preview of this world premier music. Listen to all the composer demos here. Show performers will be different voices! 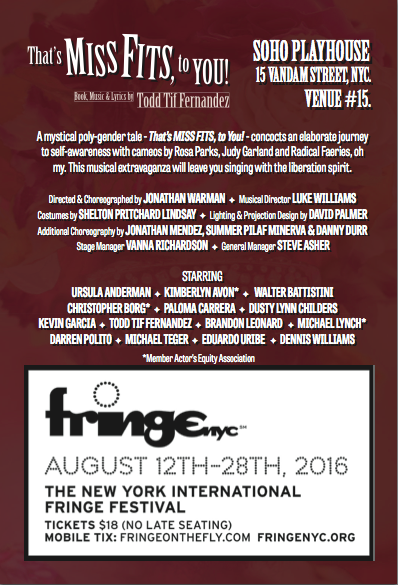 Steve Asher, 718-290-7234, 16-4392@friengenyc.org or igetideas2@yahoo.com.